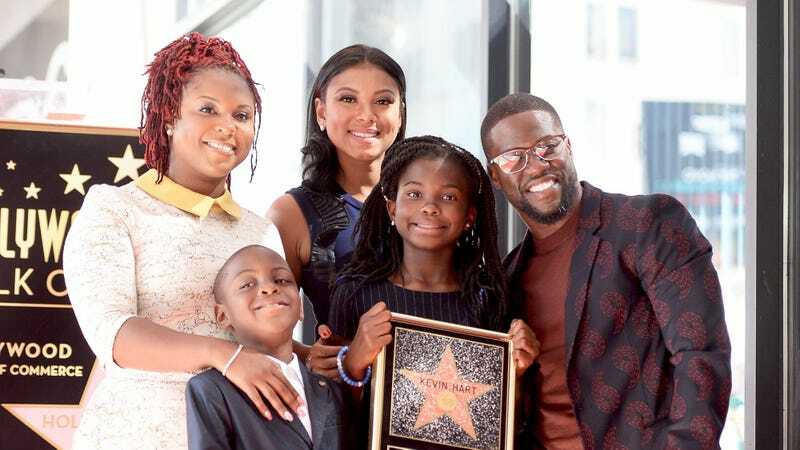 Torrei Hart says everything was going so well between her and Kevin Hart’s current wife and rib, Eniko Parrish Hart. That was until Eniko Hart pulled some shady revisionist home-wrecker history on Instagram. Earlier this month, Eniko celebrated her and Kevin’s wedding anniversary, but the math in her post just didn’t seem to be adding up. “8 years together. 1 year married. Forever to go!” Eniko wrote on Instagram. However, she failed to remember that Torrei and Kevin had only gotten divorced six years prior. Some people on Instagram called her out, and when she responded to the criticism, things went all the way left. “Their marriage was broken way before I came in the picture. They were separated, living in separate homes. I was never a secret. She knew that as well. Don’t believe the hype,” Eniko wrote, and then accused Torrei of playing the victim. Needless to say, Torrei wasn’t having it and responded publicly. “[N]ormally I don’t feed into this, but when you addressed me, you forced my hand to respond. We have made successful strides to become a loving co-parenting family, but you have now left it open for my character to be questioned. You, Kevin and I know the truth. I offer this simple solution to your ‘ig comments problems’ either respond truthfully or don’t respond at all. Thank you for considering my advice,” Torrei wrote. Now, weeks later, in an interview with In Touch (girl, tabloids?) Torrei has made it plain that she’s not one to quickly forgive and forget. “We’ve just been moving forward, getting the blended family in a good place and co-parenting. This just takes us a step back,” Torrei said. “Right now, me and Eniko are not speaking, but me and Kevin, we’re still speaking,” Torrei continued. She also stated that she hasn’t discussed the issue with Kevin. Technically, Kevin did comment on the situation, on social media, saying that no one knows what goes on in his life. In any event, family gatherings are definitely going to be interesting from now on. But we all probably know how this story is eventually going to end, right?